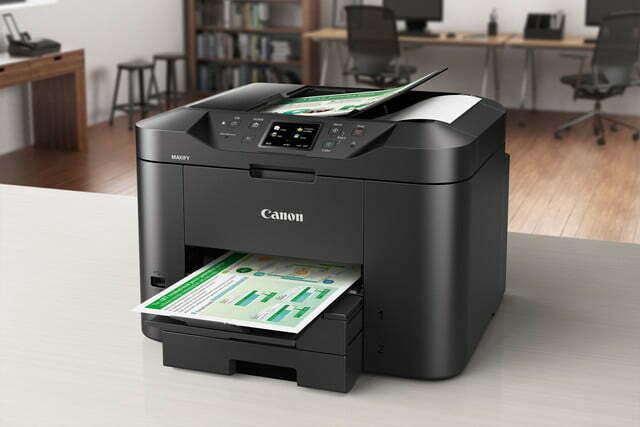 A printer may be more essential than exciting, but Canon’s latest line of workhorse office inkjet printers include a few over-the-top features, thanks to the built-in Wi-Fi. The five new Maxify models include the ability to print directly from a number of social media platforms, including Facebook, Twitter, and Flickr, as well as cloud storage, including Google Drive, Dropbox, and Microsoft One Drive. 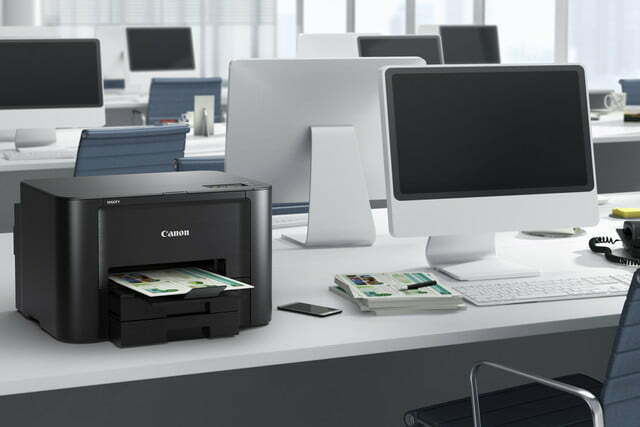 Designed for home and small office environments, the printers come with both their own cloud account and an app, so users can print documents that live on their computer while using their smartphone. 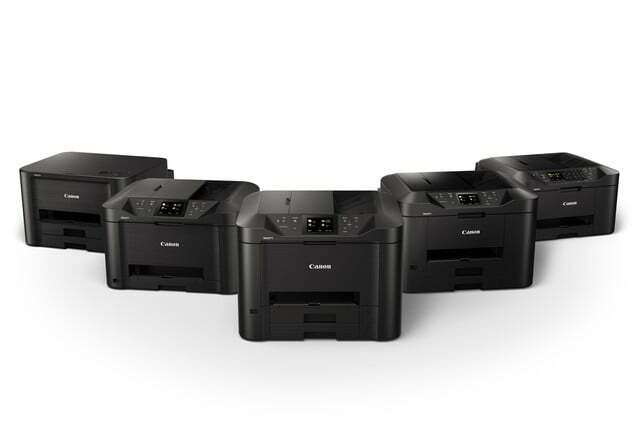 All five of the printers are also compatible with both Google Could Print and Apple AirDrop. 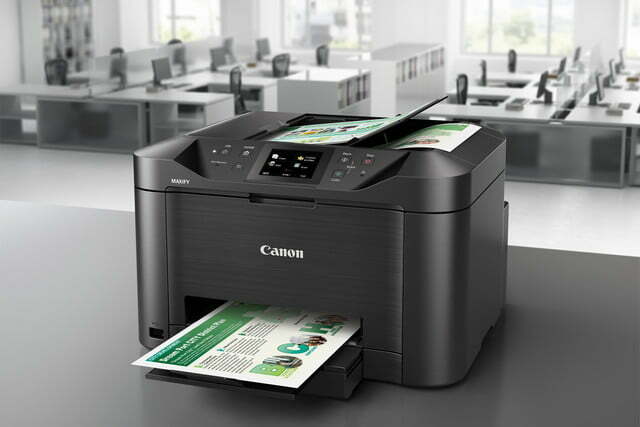 Along with the enhanced wireless technology, Canon says it’s also improved both the quality and yield of earlier models. A black-and-white document will take six seconds to print, while color adds just another second. The printers use a Dual Resistant High Density individual tank system that allows for more vidid colors along with sharper text. The Maxify MB2720 and MB2120 are designed for home businesses with page yields of 1,200 sheets in black and white, or 900 in color. 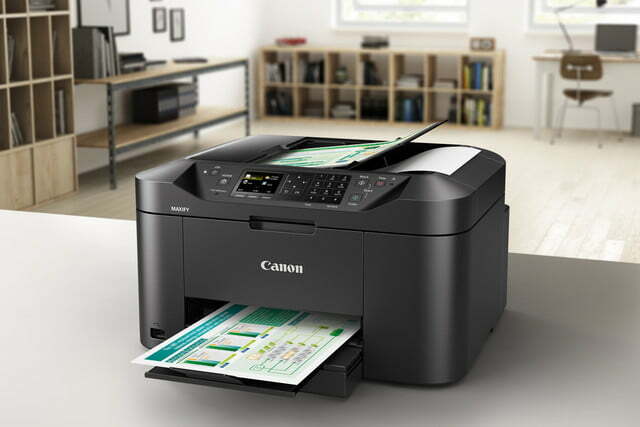 The MB2720 has a higher-capacity tray at 500 sheets, and a larger, 3-inch LCD screen, and lists for $199. Skimping a half-inch on the screen and opting for the smaller tray will save consumers about $20 for the MB2120 – not exactly huge savings, but that’s at list price. 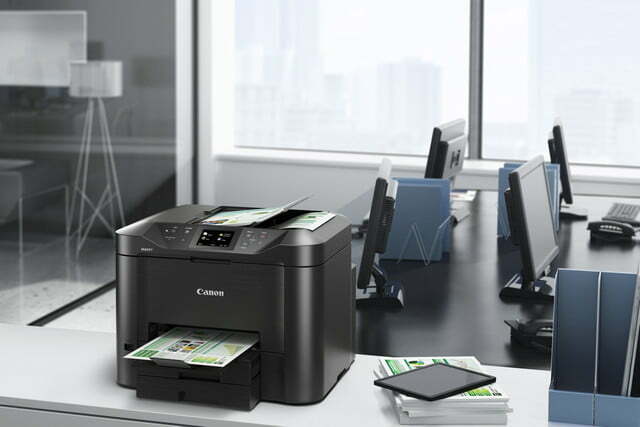 Designed for small businesses with a larger yield, the Maxify MB5420 and MB5120 all-in-one printers include scan and copy functions, including the option to scan directly to a cloud account. The MB5420 has a higher 500 sheet capacity for $399 while the MB5120 sits at 250 sheets for $299. 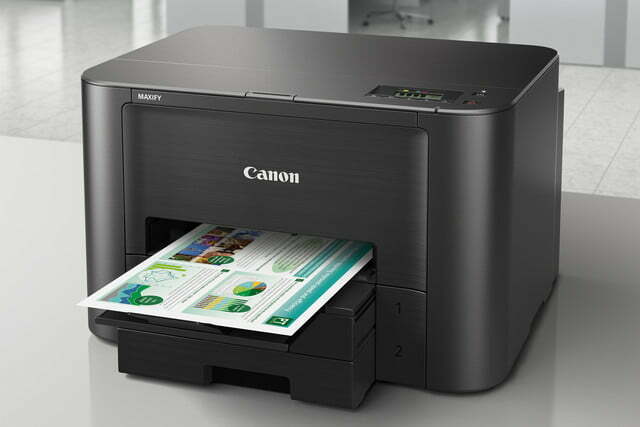 The Maxify iB4120 printer offers similar capacity and efficiency with a 2,500 black and white and 1,500 color yield, but without the built-in scanner and a more budget-friendly $149 list price. Read our review of the MB5320.